It’s not long until the new NFL season gets underway and, as usual, that brings about plenty of betting opportunities. Anything could happen in the training camps as we get closer to the September 7th kickoff date, but barring too many major injuries, here’s how the divisions in the NFC look to shape up in the 2017 season. Last season, even with the rookie combination of Dak Prescott and Ezekiel Elliott leading the offense and ten-year franchise quarterback Tony Romo being injured, America’s Team managed to win the NFC East. The Dallas Cowboys were very strong on defense, but it was Elliott’s amazing running that gave the team a huge boost. Dallas have the ability to come through as one of the highest scoring teams in the entire NFL, provided that Dak Prescott can handle the pressure of being the number one in a similar way to how he coped with the pressure of last season. The run game and the offensive line is a bit of a shambles, but the defence looks top notch, and Eli Manning now has more top receiving options than he can shake a stick at. The New York Giants surprised the NFL with their great defence, which came out of nowhere, and now their passing game is going to be immense. With Brandon Marshall and tight-end draftee Evan Engram joining the offence, Manning is going to have a whale of a time, provided that the offensive line gives him enough time. Dallas and the Giants should be quite close when it comes to the final NFC East standings, but the Cowboys look to have the edge at this stage. It’s a new era in Washington, with veteran top targets DeSean Jackson and Pierre Garcon walking during the free agency. The Washington Redskins didn’t do overly well in the free agency to compensate but did manage to pull in Terrelle Pryor, who was very good for the awful Browns last season. Along with the Redskins, the Philadelphia Eagles aren’t expected to be able to do enough to challenge for the division title, but Carson Wentz has a much-improved offence to play with, from Alshon Jeffrey receiving to LeGarrette Blount being a beast from the backfield. 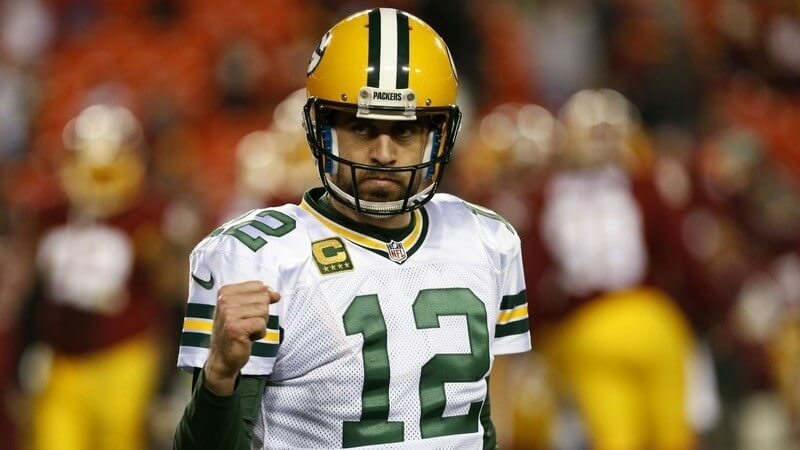 As one would expect, the Green Bay Packers are expected to, once again, dominate the NFC North and win the division. However, last season they only finished one win above second place and the team has suffered some very talented losses over the summer. Martellus Bennett provides a nice option for the superstar Aaron Rodgers, but the losses of T.J. Lang, Julius Peppers, James Starks, Jared Cook, and even Eddie Lacy will be noticed. Nevertheless, with Rodgers at centre, the Packers look to be the ones to beat in the NFC North. Having improved their offensive line and defence, it’s very possible that the Detroit Lions will give the Packers a scare in the upcoming campaign. Detroit were only a single win behind the divisional lead, and if Matt Stafford shows up and plays to anywhere near his best, the Lions could genuinely go for the NFC North. He’s got some great options in Golden Tate, Marvin Jones, Eric Ebron, and Kenny Golladay – who has been receiving praise from all over since training began – so it’s down to how Stafford utilises his talented arsenal. The Chicago Bears are starting a new era. With the ties to Jay Cutler finally cut, they look to be placing their trust in second overall pick Mitch Trubisky and have given him a stack of experienced receivers in Kendall Wright, Markus Wheaton, and Victor Cruz to sink his passes to. They may not surpass their 3-13 record of 2016, but they’re starting to go in the right direction. Then there are the Minnesota Vikings, with their scary defence and very deep running game, but still no Teddy Bridgewater. Sam Bradford will continue to man centre, but the team will need a lot more consistency from the offense if they want to avoid crumbling again. Having made it the Super Bowl earlier this year, the Atlanta Falcons managed to keep their team mostly intact through the offseason. However, as we saw from the near-perfect 2015 Carolina Panthers, the Super Bowl hangover exists. Then again, Matt Ryan is much more composed and cool-headed than Cam Newton and should be able to usher his very strong offense to another successful season. With one of the best offensive lines in the league, he’ll certainly have the time on the ball to do so. Just in case the Falcons – who dominated the NFC South in 2016 – do struggle coming out of the gate, there will be a certain young, up-and-coming team ready to cause an upset. Led by the ever-improving Jameis Winston, the Tampa Bay Buccaneers look to break out this season. In a very successful offseason, the Buccaneers lost very little but gained the likes of DeSean Jackson and O.J. Howard to the offense, as well as safety Justin Evans, to reinforce the secondary. Still outsiders to the obvious might of the Falcons, the Buccaneers could cause an upset if the Super Bowl runners-up do struggle. The NFC South has quite the collection of good teams coming into 2017; the New Orleans Saints, for example. They’ll still be relying on Drew Brees to compensate, and then some, for the improved, but still not great, defence, but with Adrian Peterson – should he stay healthy – the Saints could be an offensive juggernaut next season. The Carolina Panthers are due for a comeback season should Cam Newton be in the right frame of mind, and the Panthers have done well to accommodate him with an evolved offense. However, even with an improved season, it’ll be tough to get to the postseason in the NFC South, let alone top the division. The NFC West is a weak division: two teams are at the wrong end of the spectrum; one is trying to recuperate after a very weak season, and the other is going to be good enough to win but could easily slip up. The Seattle Seahawks get a lot of backing thanks to their elite defense, but the offense could be in trouble. With probably the worst offensive line in the league, Seattle must be thankful that Russell Wilson is so quick on his feet. However, this will also hinder new addition Eddie Lacy from establishing a strong running game – who struggled coming through the Packers’ far superior O-line last season. After smashing the NFC West in 2015, the Arizona Cardinals crumbled to a humble, below .500 record last season. If it wasn’t for the mighty David Johnson, they may not have won a game. However, injuries had a major impact on the team last season, and they’re looking to bounce back in 2017. If anyone is to surpass the Seattle Seahawks, it will have to be the Cardinals; and it’s not as unlikely as the odds would have you believe. Scrubbing at the bottom of the division are the Los Angeles Rams and the San Francisco 49ers who will, presumably, be scrapping it out for a higher draft position for most of the season. The Los Angeles Rams added the youngest NFL head coach ever in Sean McVay at 30-years-old, and the 49ers have kicked off a new era with a solid offseason, but without a franchise quarterback. We’ve got another season of intense NFL action ahead of us, so be sure to know who you’re backing as we approach the 2017 campaign.